A new opinion poll puts Jeremy Corbyn’s Labour Party eight points ahead of the governing Conservatives, less than a month after an unexpectedly impressive performance during the snap general election. The first YouGov survey since June 8 put the Tories on 38 percent against a Labour Party polling at 46 percent. A similar poll at the end of last month placed Labour at 45 percent and the Tories at 39 percent. “The latest @YouGov poll shows what can be achieved by working together and having bold, clear policies for the many not the privileged few,” Labour MP Richard Burgon tweeted. May infamously called the snap election when the Conservatives enjoyed a remarkable 20 point lead. But her ill-fated and much criticized electoral campaign has seen the Tories crash in opinion polls both before and after Election Day. 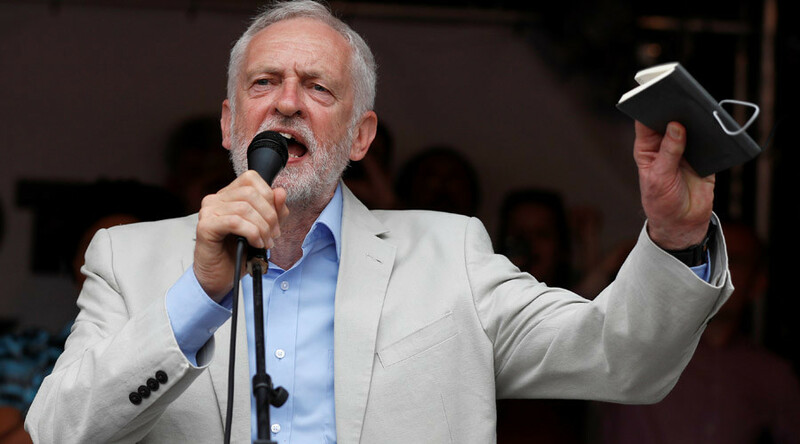 A separate YouGov survey from June also saw Corbyn take the lead on “who would make best prime minister” polls, rising three points and reaching a 35 percent approval rate. 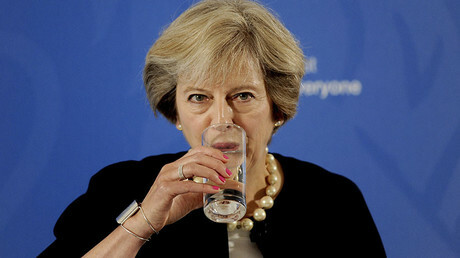 May remained close with 34 percent of those quizzed placing their faith with the Tory leader, but it still signaled a nine-point fall for the prime minister. Surveys by the same pollster done ahead of the G20 meeting in Hamburg also showed that May is now a figure of derision across the Channel too. Nearly half of French people quizzed about the British PM saw her unfavorably, while in Germany May faced the same level of popularity as the much-criticized Russian President Vladimir Putin. “May Day? As she leaves for the #G20 in Hamburg, @YouGov data shows that Theresa May is as unpopular among Germans as Vladimir Putin,” YouGov’s founding director Joe Twyman tweeted on Thursday.